In 2017, we again won a “Top Company for Graduates to Work for” award from TheJobCrowd, a popular graduate job review website in the UK. 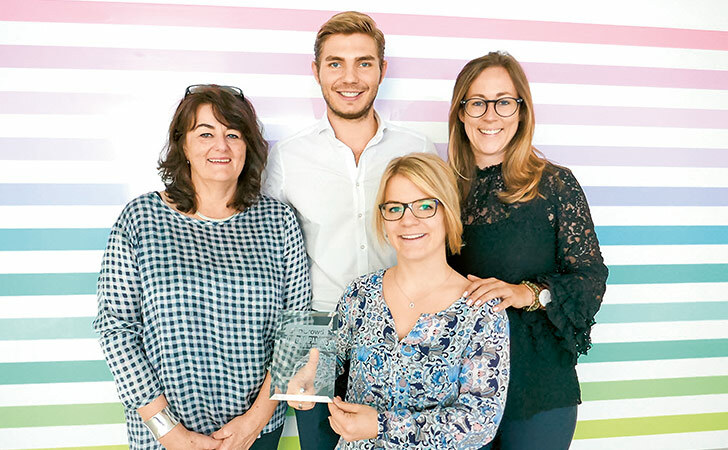 In 2017, Swiss Re won first place for “Top 100 Company For Graduates To Work For” in the “Banking & Finance” sector. Previously, we had already won the JobCrowd Award in the “Accounting & Insurance” category in 2015 and 2016. Overall, we ranked 11th out of 100 companies in 2017. This award was presented to us by TheJobCrowd (www.thejobcrowd.com), a popular graduate job review website in the UK. To determine this ranking, our graduates were asked to complete a survey about working at Swiss Re. They were asked questions such as: What are the best things about your company? What attracted you to the company? How do you rate the work/life balance, training, ethical/environmental balance? The results from our graduates were overwhelmingly positive.